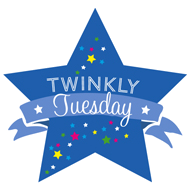 Twinfant Tuesday: Ever-Changing Schedules (Birth-4 Months) | How Do You Do It? 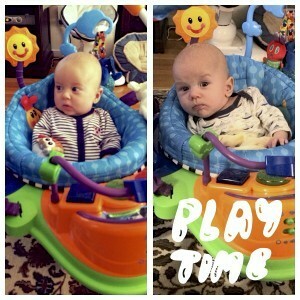 On weekends, they nap at 9 and 1 with lunch, errands, and playtime scattered amongst the above scheduled activities. At around 5 or 6 months, we tried to initiate “quiet time” before bed to limit nightwakings, but we soon found it’s impossible to get two infants to settle down. So we just let them play right up until 7:15, at which point they begin to show signs of tiredness. 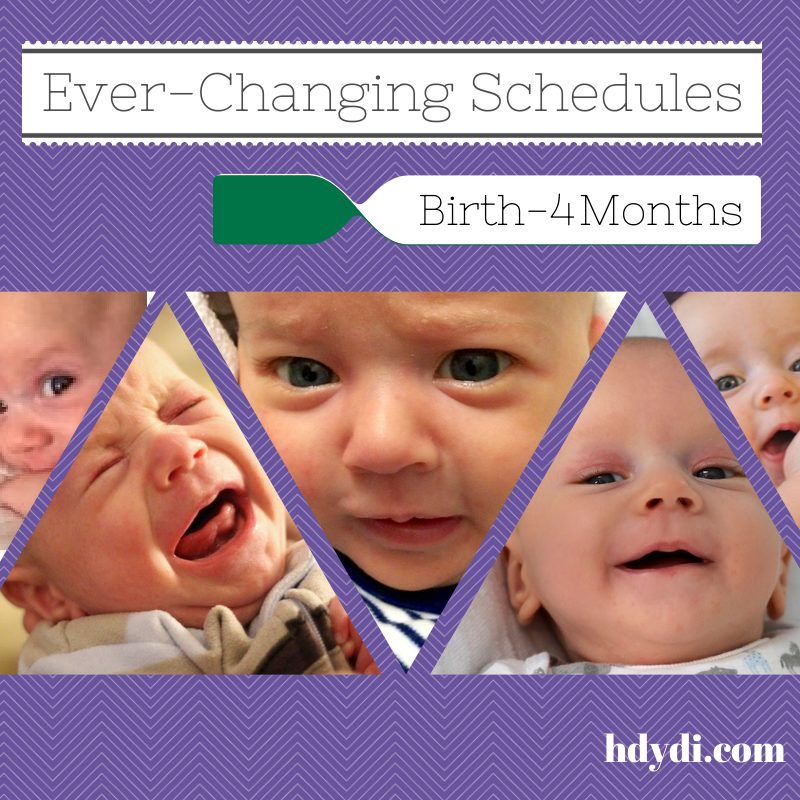 I agree that allowing a natural schedule to evolve is ideal. 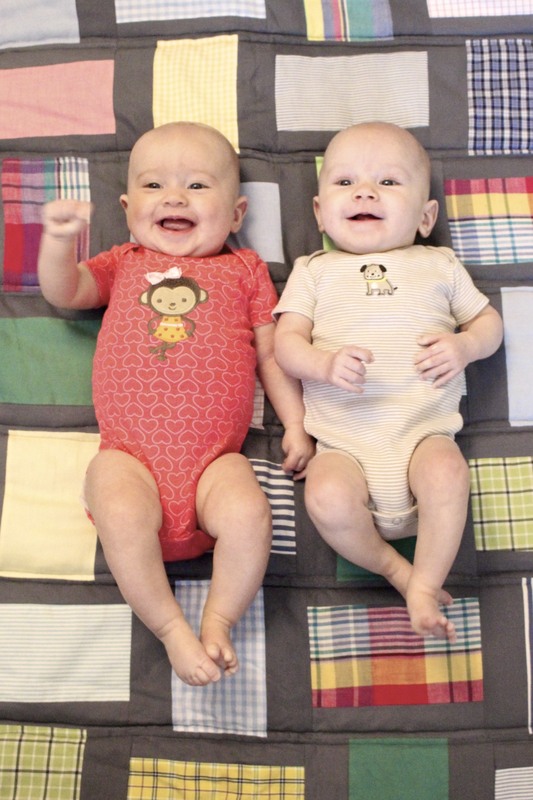 Just a few weeks ago, a friend with twins was telling me he had his identical boys on a strict schedule. I laughed about that with my husband, thinking that could only work with identical twins. 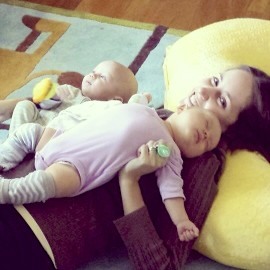 Then the daycare closed for a week in mid-March, and we had the opportunity to learn that our kids nap best at 9 and 1. From there it was simply a matter of getting the daycare on board, (which meant they would miss daycare breakfast, but we’re okay with that), and voilá! My 16mo twins nap at 9 and 1 also, with bedtime around 7:15 and wake at 6:15. But we have to make sure they get lots of physical activity or the naps go haywire. I’m really hoping that my 4yo will be dropping her nap before the twins get down to one nap, so that we’re not on lockdown for almost 4 hrs in the middle of every day. (They all currently take their pm nap at the same time.) So far, though, she’s showing no signs of losing that nap. But I guess the good thing is that the twins don’t seem ready to go down to one yet either. I LOVE SCHEDULES AND ROUTINES!!! 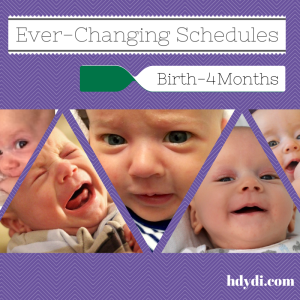 Yet I could never manage a good schedule for my boys until they were 6 months old. Ack. 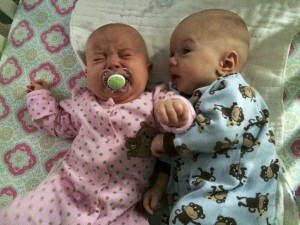 And it was such a struggle because their sleep needs are vastly different. At 18 months, oh my gosh, it is so glorious. They LOVE their schedule. Every day is so predictable, which gives us tons of freedom to plan and to enjoy. They participate in our routines for eating and sleeping, and they love them. It is amazing how much comfort we all get in these simple things. I applaud you for going with what works for you and ignoring the “experts.” You’re the expert on your family and it sounds like you’re doing awesome!